Courtroom dramas and other legal television shows are extremely popular here in America. One of the first ever courtroom drama series was The Defenders, which debuted in 1961 on CBS. Costarring E.G. Marshall and Robert Reed, a father/son defense attorney combo, the series specialized in complex legal cases. Today, courtroom dramas are more popular than ever. Those with the most influence typically focus on real life legal issues. One television show that is currently taking America by storm is FX’s American Crime Story: The People v. O.J. Simpson. FX’s series American Crime Story is an anthology series, which details the stories of real American crimes. The People v. O.J. Simpson is the first run of the series. The source material for the television show comes from a book written by Jeffery Toobin, titled The Run of His Life: The People v. O.J. Simpsons. 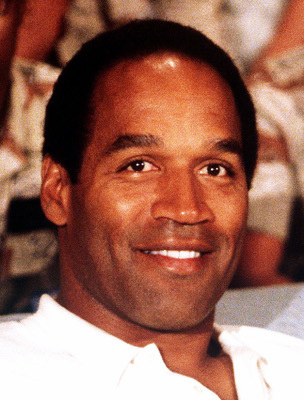 The book is based on the historical events surrounding the murder trial of the football player O.J. Simpson. The series is already off to a great start, having about 5.11 million viewers for the first episode. Airing on February 2, 2016, the first episode was titled, “From the Ashes of Tragedy,” which focused on the discovery of the bodies of Ronald Goldman and Nicole Brown Simpson. Much of the show’s success has been credited to its star-studded cast. Cuba Gooding Jr. stars as O.J. Simpson, Kenneth Choi as Judge Lance Ito, David Schwimmer as Robert Kardashian and Sterling K. Brown as Christopher Darden. Early critical reviews have also been favorable, citing the show’s attention to detail, tense atmosphere, superb acting, and realism as a few of its strongest traits. For individuals who lived through the summer of 1994, American Crime Story promises to be an evocative recreation of those shocking months.